Linowes and Blocher LLP congratulates the Gudelsky family and Global LifeSci Development Corporation (GLDC) for obtaining the Montgomery County Planning Board’s unanimous approval of the Sketch Plan for the Viva White Oak project. 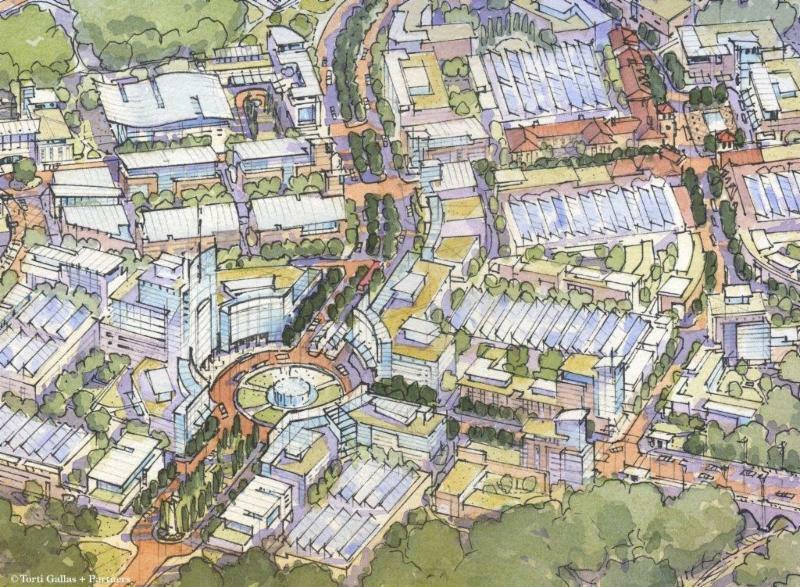 The Sketch Plan was approved for over 12 million square feet of mixed-use development on 280 acres, including office, academic, hotel, retail, restaurant, entertainment and residential uses. By leveraging its location adjacent to the Food and Drug Administration’s headquarters, the project will create a world-class, global innovation hub for health care and life sciences and bring significant economic development to the East County. This initial step in the approval process for Viva White Oak follows GLDC’s exhaustive efforts to bring the project to fruition that began more than 10 years ago, highlighted by its selection by Montgomery County as its development partner for the joint development of the former Washington Suburban Sanitary Commission facility, the execution of a Memorandum of Understanding with FDA for programmatic collaboration, and the adoption of the White Oak Science Gateway Master Plan. Linowes and Blocher looks forward to continuing to work with GLDC as this transformational project moves forward. The Linowes attorneys working on the Viva White Oak project are land use partners Barbara Sears (bsears@linowes-law.com or 301-961-5157) and Scott Wallace (swallace@linowes-law.com or 301-961-5124) and environmental partner Jim Witkin (jwitkin@linowes-law.com or 301-961-5189).